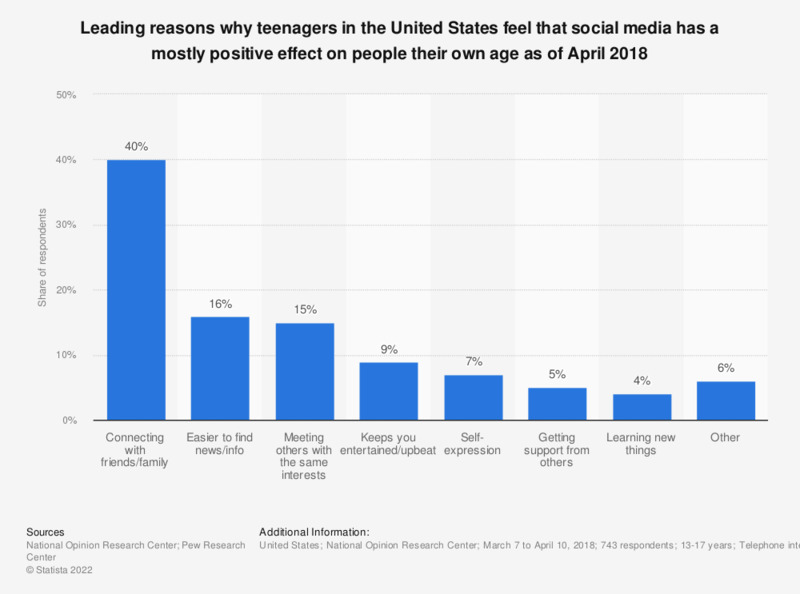 This statistic shows the leading reasons why teenagers in the United States feel that social media has a mostly positive effect on people their own age as of April 2018. The findings show that 40 percent of surveyed U.S. teens feel that the most positive effect of social people on people their age is connecting with friends and/or family. Do you use your social media network when making career/employment decisions?